MGM, 1930. Directed by Lionel Barrymore. Camera: Percy Hilburn. With Lawrence Tibbett, Catherine Dale Owen, Nance O'Neil, Judith Vosselli, Ulrich Haupt, Elsa Alsen, Florence Lake, Lionel Belmore, Wallace MacDonald, Kate Price, H.A. Morgan, Burr McIntosh, James Bradbury, Jr., Stan Laurel, Oliver Hardy. 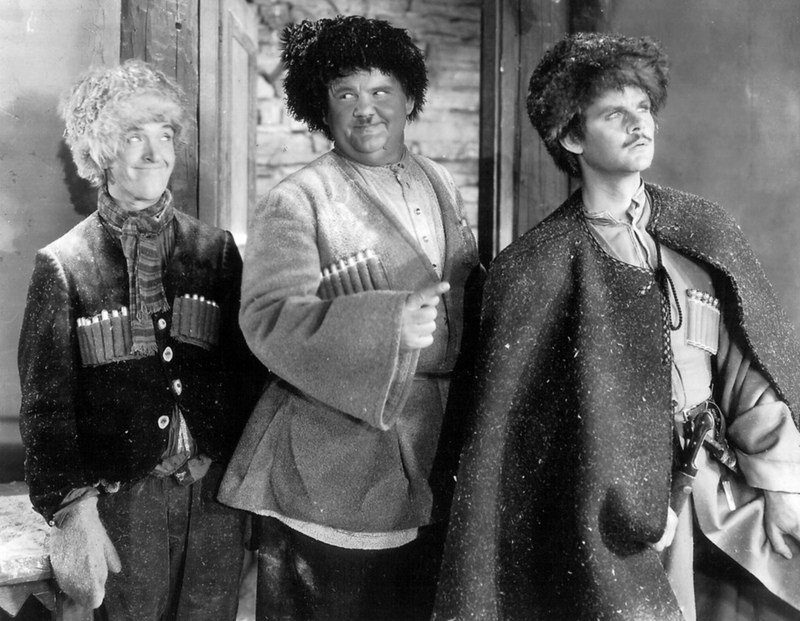 Tibbett is a Russian bandit king who falls in love with a princess. Her brother has betrayed Tibbett's sister. In revenge, he kills him, at the same time abducting the Princess. She escapes, has him arrested and flogged, but then realizes that she loves him after all. 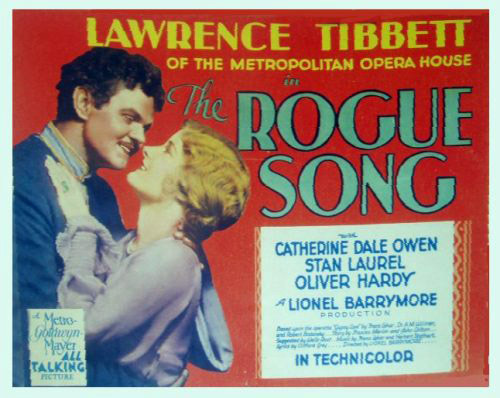 Purely a vehicle for Metropolitan Opera star Lawrence Tibbett, who was never to become a very satisfying screen personality, Rogue Song was finished and ready for release when Laurel & Hardy were added as an afterthought to give the film both comedy relief and a measure of box-office insurance. They were billed last in the cast without any kind of "guest star" status, and their material, constructed neither by them nor by their standard Hal Roach writers, was lame, obvious stuff. Lionel Barrymore, a good but stolid director of straight dramatic fare, had neither the flair for Rogue Song frou-frou nor for sight comedy, and undoubtedly could do nothing to help them overcome the mediocrity of their material. 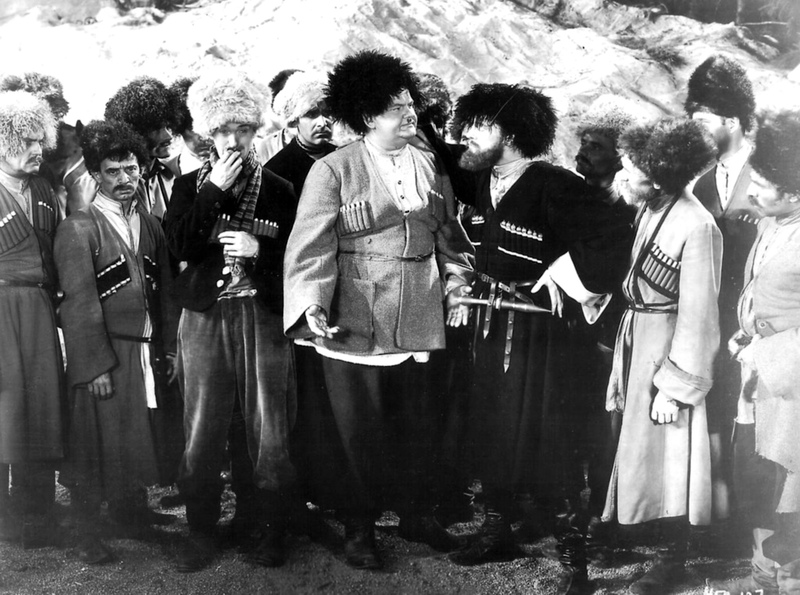 Their footage was spotted throughout the film, which received only moderate reviews for its values as an operetta and no acclaim at all for its comedy. At best the Laurel & Hardy presence was noted and their comedy relief in a rather turgid film appreciated. However, critical appreciation of Laurel & Hardy was late in arriving, and their mere presence in an allegedly highbrow film of this nature may have been resented by many of the critics, so quite possibly their sequences may have been a good deal better than either memory or contemporary reviews indicate. This is only conjecture, however, since no prints of the film are known to have survived. MGM, the producing company, no longer has either a print or a negative of the subject, decomposition having been hastened by the unstable nature of the early Technicolor nitrate celluloid. If a print should suddenly appear, it will be from an unlikely and unpredictable source, probably European. 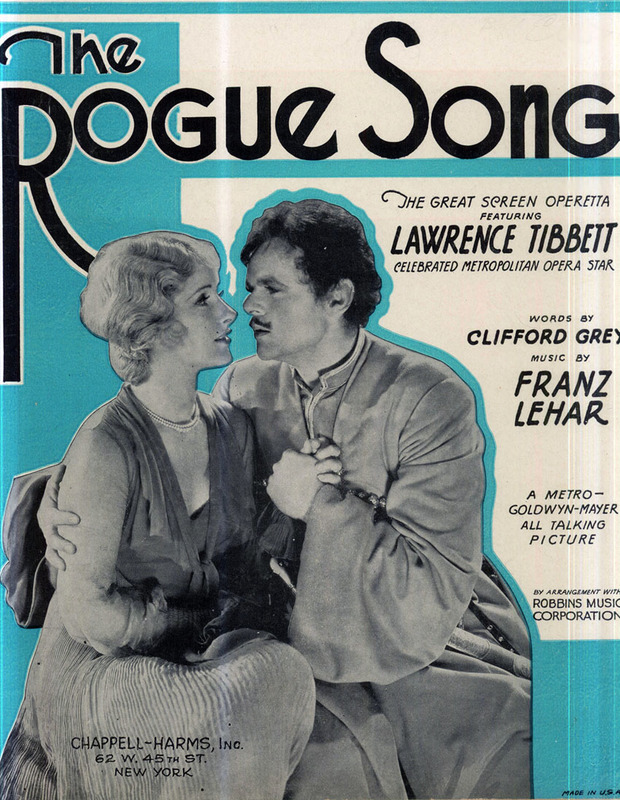 In the meantime, Rogue Song holds the dubious distinction of being the only Laurel & Hardy feature believed to be no longer in existence, and while it is undoubtedly unrepresentative of the work, one would still give much to see it again, since in it, presumably, once can trace the roots of their own later burlesque operettas (Fra Diavolo, The Bohemian Girl, Babes in Toyland) done very much under their own, and Hal Roach's control.